TGIF is a fortnightly e-mail newsletter containing a brief, easy-to-read digest of matters relevant to the shopping centre industry. It is e-mailed to members of the SACSC on Friday mornings. TGIF is the perfect forum for announcements within the industry and you are urged to make use of this tool. 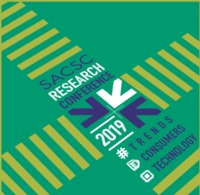 This page contains content that is only available to SACSC members.